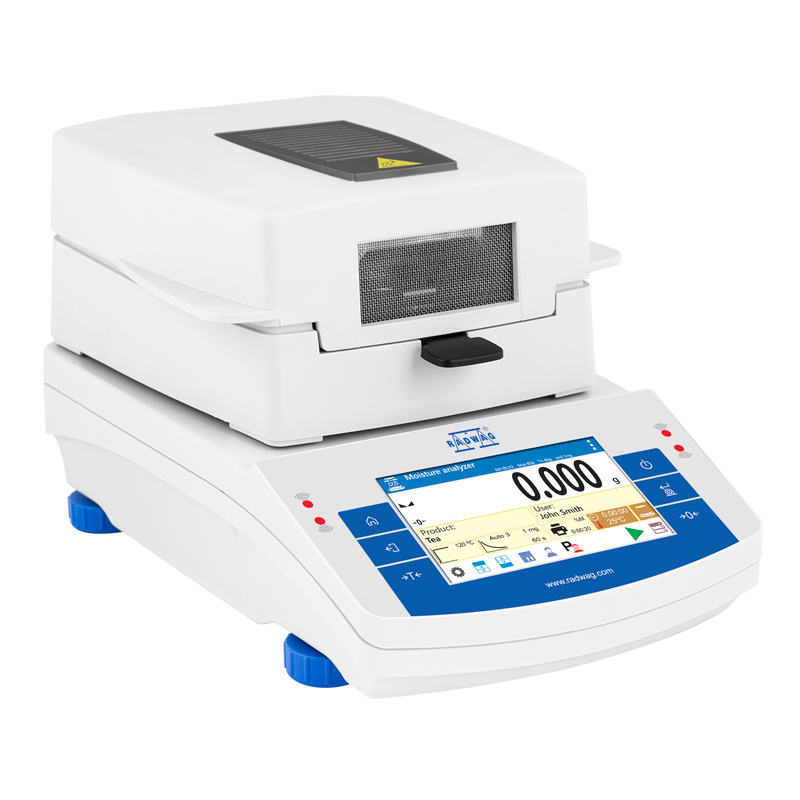 MA.X2 moisture analyzers are hi-tech measuring instruments intended for quick determination of relative moisture content, dry mass content and other parameters in samples of different substances. 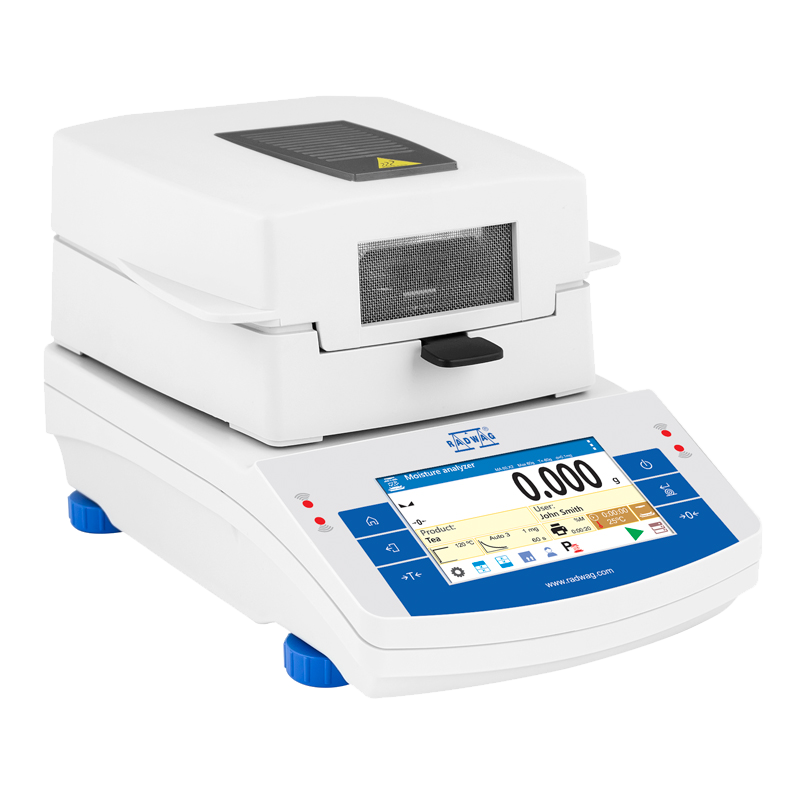 MA X2 series moisture analyzers are now equipped with DRYING FORECAST function that enables to shorten the drying process. 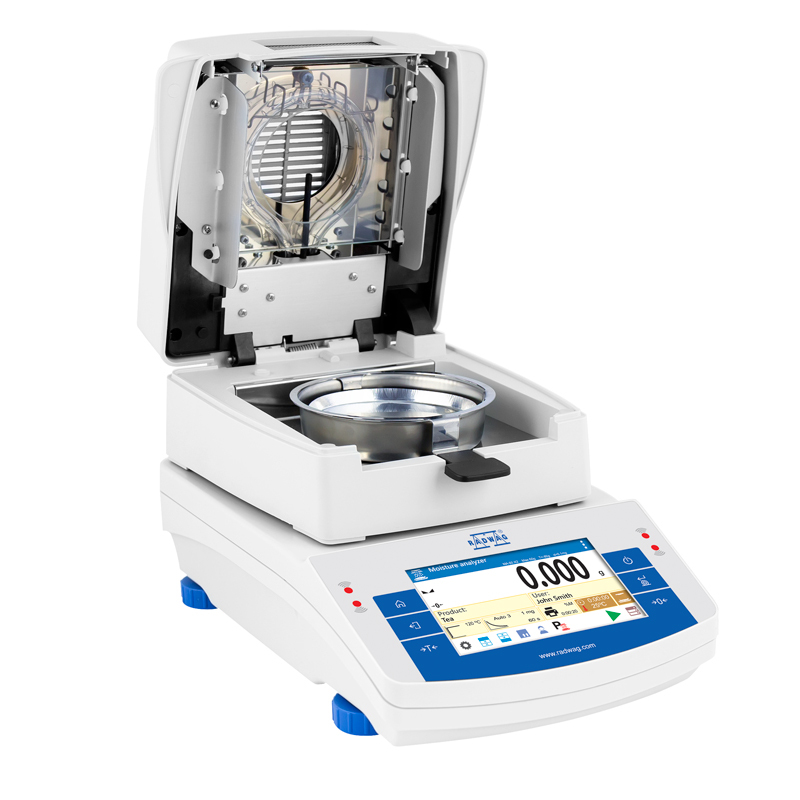 If you do not care about the highest accuracy and increased measurement error (ranging from 5% to 20% of the end value) you can shorten the drying process up to 6 times. It is an option dedicated for users who require fast and multiple estimation of materials moisture content.DRYING FORECAST method is a prognosis of the end result, carried out before the drying process is completed. 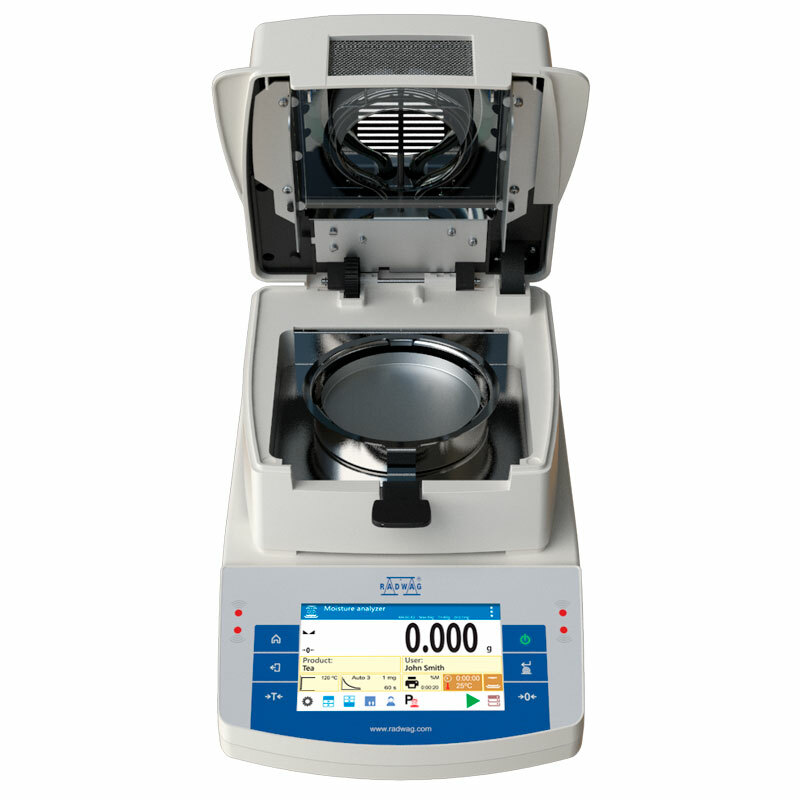 Based on characteristics of current drying curve, created online, moisture analyzer estimates the end result of the drying process. It is an approximate result characterized with small error of +/- 10% of the end result for most of the products and +/- 20% for products that require drying process to be longer (such as plastics, gels and materials containing more than 30% of water). The calculation algorithm adapts to the drying material features and estimates first end result. The value of the prognosis is more accurate when the process takes more time. You can specify the time and accuracy of the process. PC Keyboard Calbe RS 232 (balance - computer) "P0108"
Water Vapour Permeability Determination Set Cable RS 232 (balance - Epson, Citizen printer) "P0151"